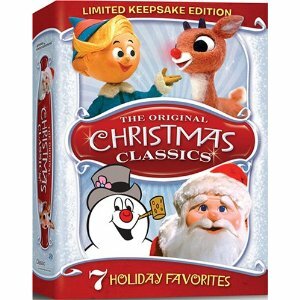 The The Original Christmas Classics is on sale right now at Amazon for only $16.99. Plus, you get $5.00 worth of eligible movies and TV shows from Amazon Video On Demand after you order this item. But wait that not all you get, you also get Bonus Holiday CD: “Rudolph the Red Nosed Reindeer”, “Holly Jolly Christmas” and “Silver & Gold” by Burl Ives, “Rockin’ Around the Christmas Tree” by Bobby Rydell, “Let it Snow” by Chicago, “Winter Wonderland” by Jewel, and “Merry Christmas Baby” by Otis Redding.